If music be the food of love, it also helps a good ol' mid-life crisis - or at least it does in I Found My Horn, which is currently showing at the Trafalgar Studios. What would you do if you woke up at 40 years old to a broken marriage, a bedsit, and failed dreams? Well, how about dusting off your French horn and setting yourself a terrifying challenge? Here we interview star of the show Jonathan Guy Lewis. We chat about how the play gives him the chance to confront his own personal music demons and the time he met Frank Dunlop (who started the Young Vic). Ooh, and theres a bit with a horn. A real live horn. Definitely worth a watch. You can follow I Found My Horn on Twitter here, or like 'em on Facebook here. If that hasnt sated your cravings for some horn-playing, here Jonathan performs a section from the play during a BBC Radio Three interview with Suzy Klein. He and Jasper Rees also discuss why, after a 25 year playing-lapse, you might pick up your French horn and perform a Mozart concerto to a room full of horn players. Lovely. 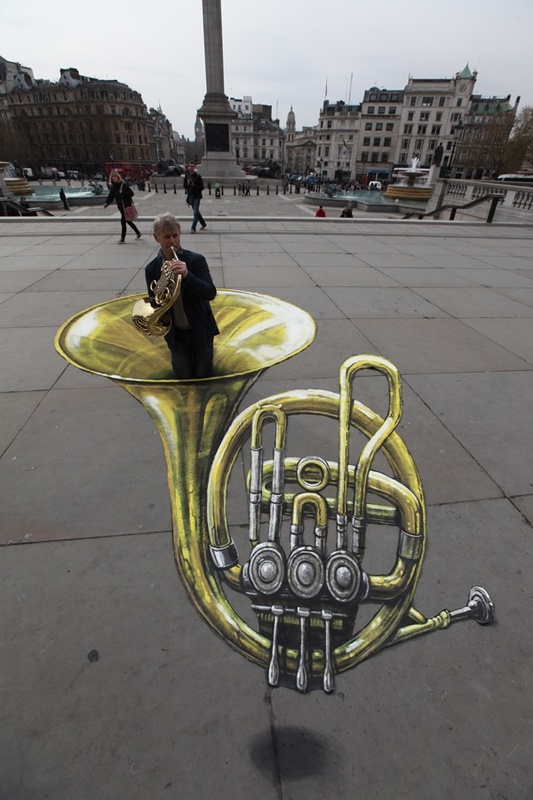 OK, so this is probably the coolest art stunt Ive ever seen. 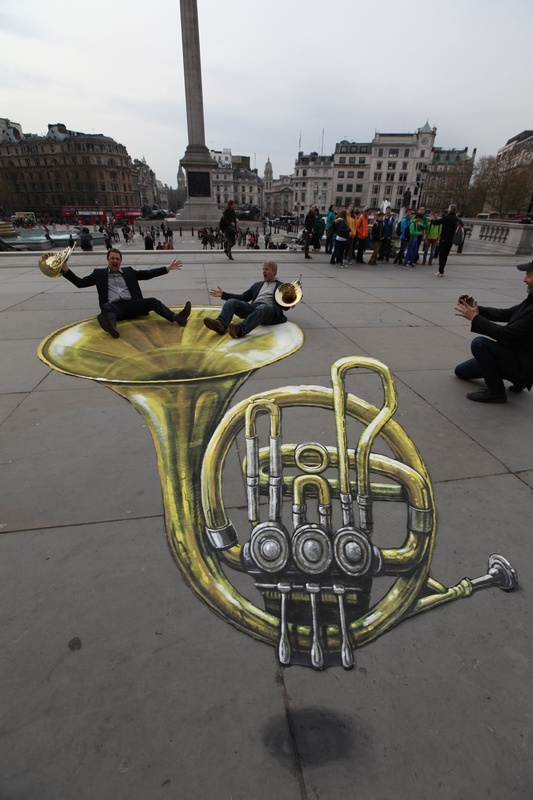 We were camped out in Trafalgar Square on a grey and blustery Monday morning to witness the photographic transformation of a bit of canvas into proper 3D art. If this doesnt make you want to see the man in action, blowing his heart and soul out on a horn, then I dont know what will.